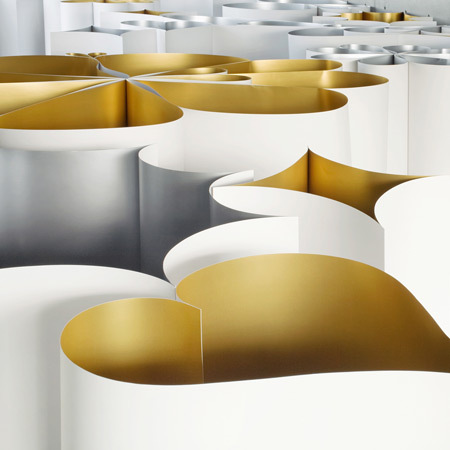 To my eyes, this recycled paperboard installation is an ethereal beauty. 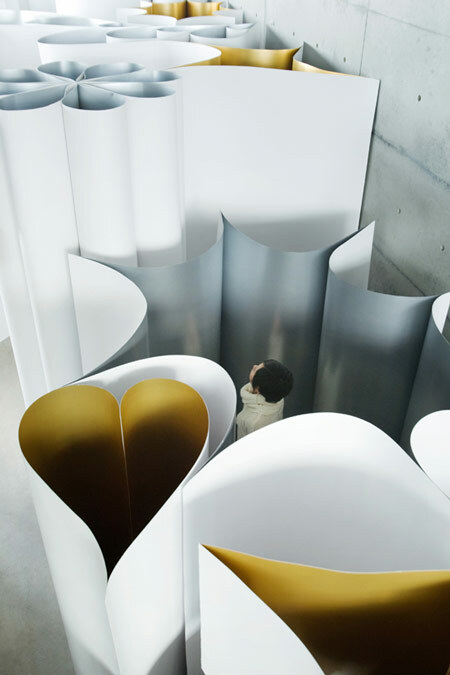 Tokyo and Seattle-based design team, KEIKO+MANABU, (Keiko Uchiyama and Manabu Sawase) created gracefully rolled cylinders that formed hearts, diamonds, and flowers large enough to stroll through or hide among. 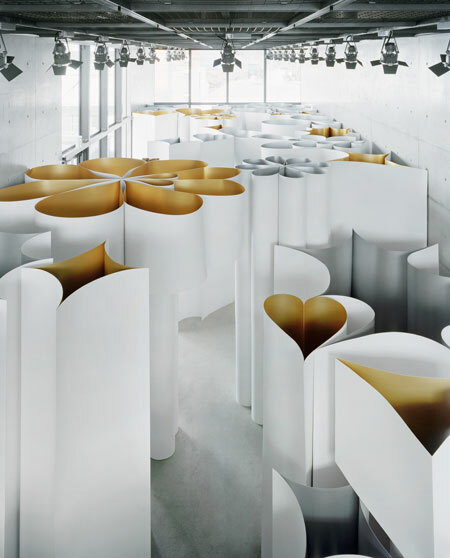 Displayed in the Diesel Denim Gallery, located in the Aoyama neighborhood of Tokyo, Japan, the colossal tubes were re-recycled when the exhibit closed earlier this year. I start to question the details... how was it constructed so smoothly, so perfectly... what supported the tubes... how were they held in place? But I realize some things are best when simply accepted and enjoyed. 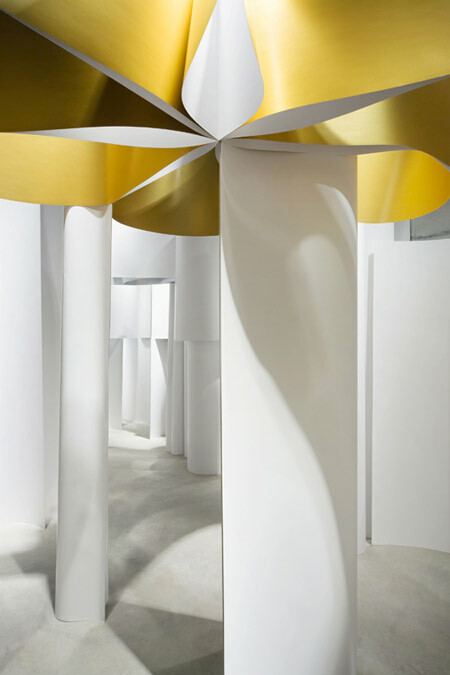 Spending part of one's lunch hour in the midst of these elegant silver and gold-lined columns would be as calming as a walk in the countryside. This is a quiller's dream!! That is awesome! 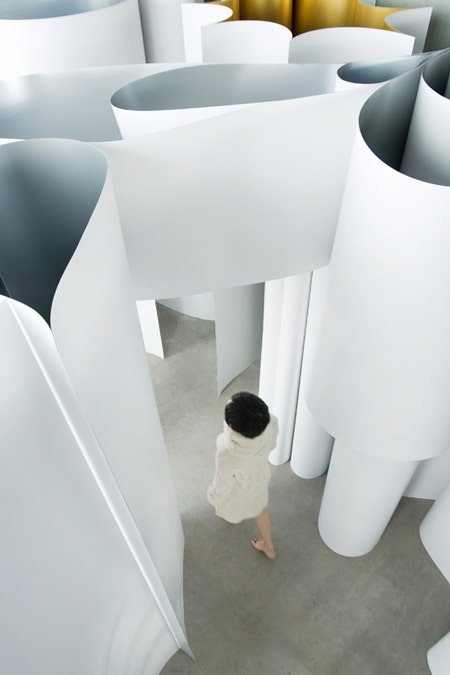 I would love to stroll through this installation. Thanks for posting it!